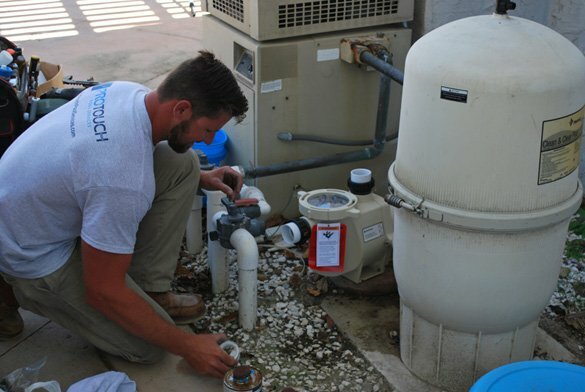 Our pool repair technician installed a new pool pump for a Rancho Penasquitos, 92129 homeowner because the old pool pump had stopped working. This San Diego home is a rental property and the owner wanted to get the job done as quickly as possible so the renters would be able to use the small pool with attached spa. We recommended a ½ h.p. 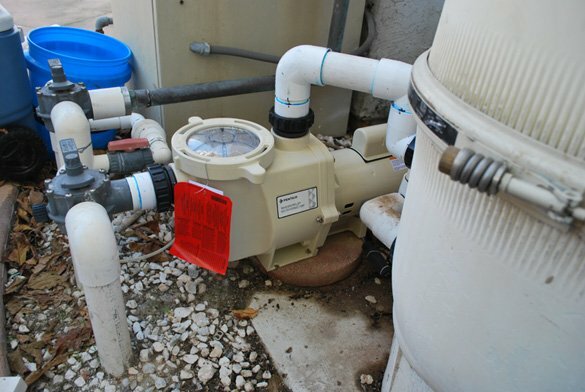 Pentair energy efficient whisperflo pool pump that meets the California Title 20 standards. 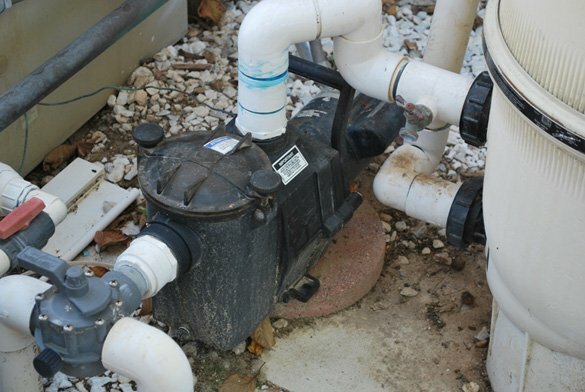 The pool repairman removed the old ½ hp Hayward RS pool pump by cutting the plumbing pipes and disconnecting the electrical wiring. 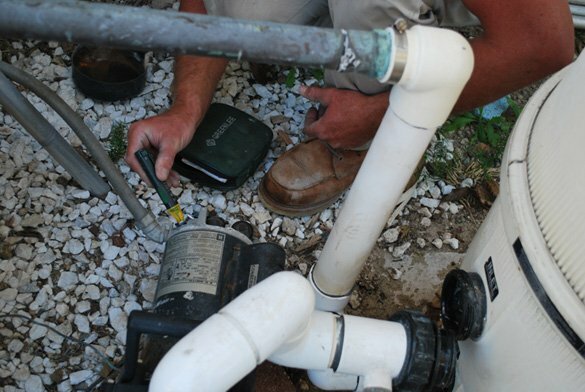 Then hi temp unions were attached to the new whisperflo pump to make any future repairs easier. 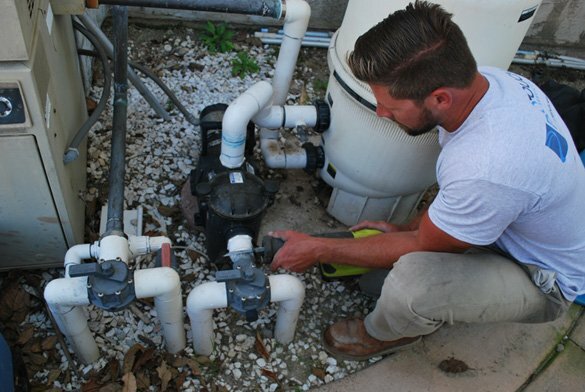 The new Pentair pump was then connected to the existing plumbing with glue and to the Pentair Clean and Clear cartridge filter. The Intermatic T104M timer, 220V mechanical 24 hour timer mechanism switch in the time clock also was no longer working and needed to be replaced. 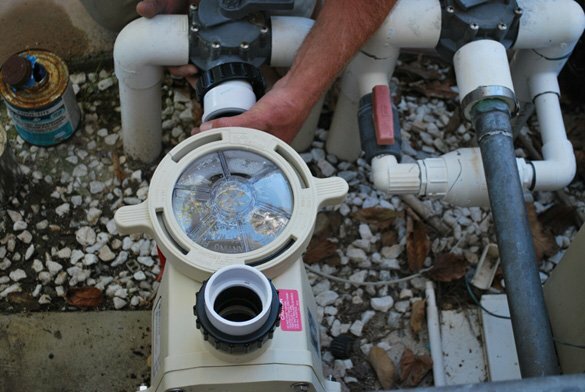 Once the new Pentair swimming pool pump was installed, the pool and spa was back up and running. We added some chemicals to treat the water, cleaned the pool and was now ready for the renters to enjoy.